The Artemis 3631AS1 curved soprano saxophone is made by Trevor James, a British specialist woodwind company. They have become famous for winning many awards for their student flutes and saxophones. Therefore the Artemis soprano saxophone is the perfect starter instrument for those musicians wanting to branch out into soprano sax playing. With a durable design and easy to blow mouthpiece, the sweet tone is accessible to beginner and intermediate players alike. The 3631AS1 curved soprano saxophone was designed in response to the need for good quality instruments at a modest price. With the result that all Artemis instruments are prepared to the same high standards by Trevor James. In fact, Artemis saxophones have their final inspection and set-up in the same workshops as the renowned Horn models. 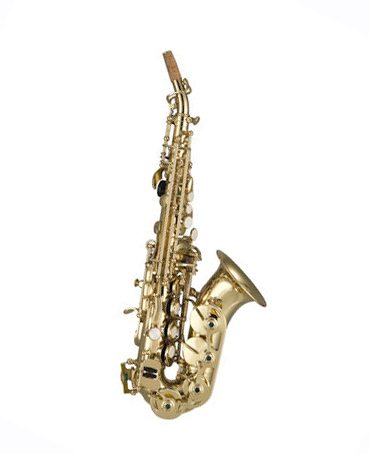 Therefore if you are working with a a tight budget and looking for a student instrument, then this could be the sax for you. The 3632AS1 model could fit the bill, if you are shopping on a tight budget. With a durable design and easy to blow mouthpiece, the sweet tone is accessible to beginner and intermediate players alike. While the dedication of the Trevor James team to produce such a keenly priced instrument has to be admired.